March 8th, 2015 20th anniversary and new EP later this year !!! our band came to existence in 1995 and this is the year of their 20th anniversary. It is a big milestone in our history and therefore it will be celebrated with the release of a special EP entitled “Lost in the Ryhope Wood”, which is inspired by the work of Robert Holdstock. The EP will contain six songs - three re-recorded pieces from older albums and three brand new ones. Recording and mixing of “Lost in the Ryhope Wood” will take place in May and June in Grindhouse Studio in Athens and Pulp Studio in Bratislava. The EP will be released on vinyl through Paøát Magazine & Productions on the 1st September 2015. During our existence, we released seven records and played over 200 shows all over Europe. This number will increase as a new anniversary tour for September will be announced soon! THANK YOU FOR YOUR LONG STANDING SUPPORT !!! September 29th, 2013 Guitarist Michal Kolejak back in the band! Hey people! We part our ways with session guitarist Peter Lipo Lipovsky who helped us with live shows in 2013. We would like to thank him for his help and wish all the best with his own band and life in general! 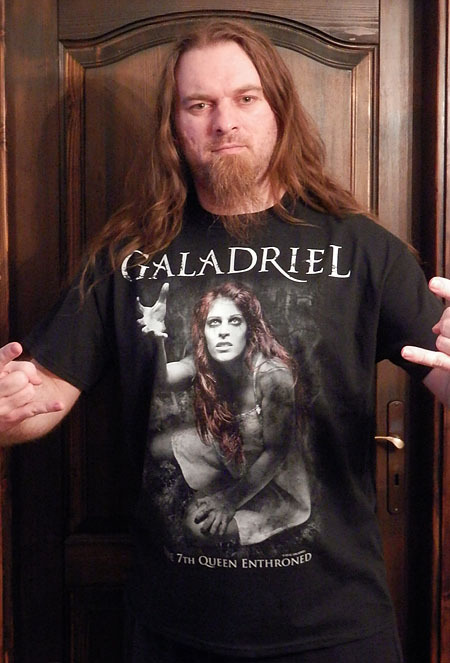 New guitarist of GALADRIEL is Michal Kolejak who already played some summer festivals in 2012 with the band !!! March 8th, 2013 New merchandise available!!! November 15th, 2012 New album OUT NOW !!! 11th September 2012 New song online!!! 1st June 2012 New album - The cover UNVEIL !!! as the progress of our recording is going well so we decided to introduce you the cover of our forthcoming album what will be released in September 2012 via Gothoom Productions. Enjoy! ...and let us know your opinions, thanks. April 9th, 2012 We are in recording process !!! 10th January 2012 New album - 1st update !!! this is realy first update after a long time. We tried to stabilize our line-up last year and we were still in writing process. Some things were going wrong so there is some delay with our new album. But now we have good news for you. We would like to enter the studio in February to record the drums for all our new songs with drummer Jan Ivan (also CAD, VANDALI). Keep you horns rising friends and watch out - the seventh queen is going to be enthroned !!! we proudly announce Mr. Appen (also known from the band Real) took the place of drummer for our forthcoming shows and will also cooperate with us in writing and recording process of our new album! Another news are not so good. After long years guitarist Matus Hanus decided to leave the band because of changes in his life. Keayboard player Andrej Kutis has followed him with the same reason. Both of them will continue their musical lives in their own band Castaway. So horns up guys! New keyboard player will be announced soon! 27th June 2010 The show in Bratislava (on 6th July 2010) is cancelled !!! Drummer Adam Zelenay left the band ! The show planed to 6th July 2010 is cancelled due to health problems of singer of ROTTING CHRIST. So, we will play in Bratislava on 27th November 2010 on the Anniversary Show !!! Another bad news... we decided to end the cooperation with the drummer Adam Zelenay. We had different view for the forthcoming album we are writing in this time. Adam is a good guy and we wish him all the best in his next life and say "thank you" for the last year we played together! The forthcoming festival shows will play drummer Iggi Sim. 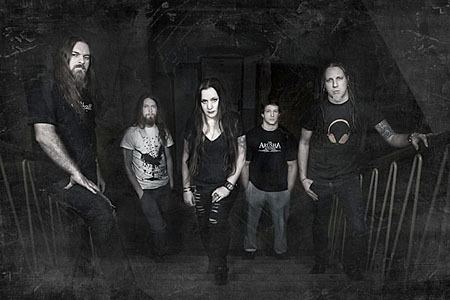 16th February 2010 Bad health state of Dodo Datel - cancellation of the show in Levice (SK)! Im in bad health state. I have a problem with the hearing damage of my right ear! Im currently in the healing process. Due to this problems we need to cancel our show in Levice (SK) on 27th February. I hope all fans and organizers too will understand and accept this situation. I hope Ill be OK in the nearest future, because I cant imagine my life without music !!! 21st September 2009 Tomax Gabris returns to the band after 5 years ! 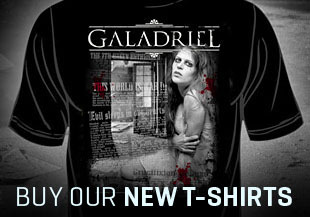 GALADRIEL prodly announce the return of old brother Tomax Gabris to the band. Its really great to let you know we found new lead guitarist only few days after Skkipi left the band. Now we are concentrating for the writing process of new songs. Keep your horns rising ! 17th. 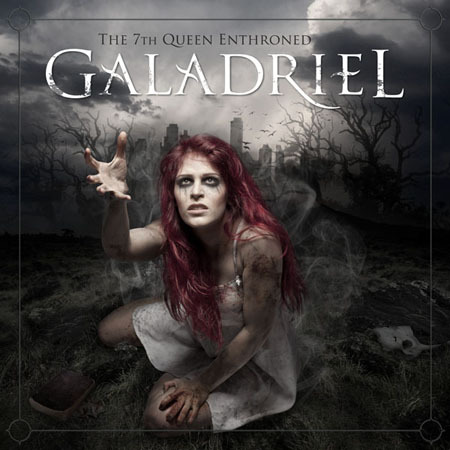 September 2009 GALADRIEL end the cooperation with guitarist Skkipi Skuppin ! We want to announce we end the co-operation with lead guitarist Skkipi Skuppin. We want to wish him all the best to his next musical and personal life. Were looking for soonest introducing of new band member for this important position! 10th June 2009 GALADRIEL confirmed to "In Flammen Open Air"
GALADRIEL confirmed the performance at "In Flammen Open Air Festival" in Torgau / Germany. We will play on friday 10th July. So, see you there devils !!! 18. May 2009 New merchandise for girls ! GALADRIEL proudly announce the entering of new drummer to the band. It is ADAM ZELENAY. Our former drummer IGGI was still more engaged in other musical projects, so we decided for the change. It was great to play with this very talented musician. Thanks! An interview with Dodo Datel for Latvian metal webzine METALMUSIC.LV is online! This interview was actual in the autumn of 2008. Now it is online. You can read it HERE. New interview with Dodo Datel for the Latin America webzine Penurium is online! You can read it HERE. The interview is in Spanish language. our label Metal Age Productions started with the selling of MP3 files of their bands. 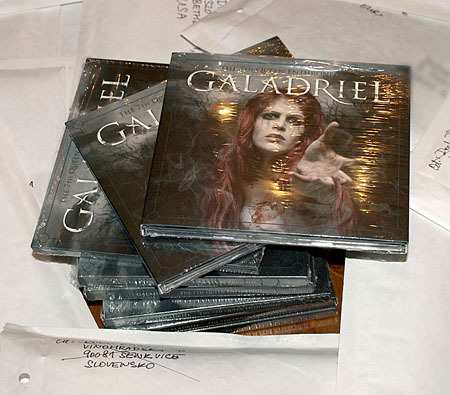 If you are interesting to buy our Metal Age albums in mp3 files, visit new Metal Age MP3 Store ! 01. January 2009 New website + Best wishes for 2009 + PayPal !!! we would like to wish you all the best for new year 2009 ! So much health, luck, money and great metal music !!! With new year we started new website and we hope you will like it. Check the Live Dates sections where you can find confirmed dates for 2009. 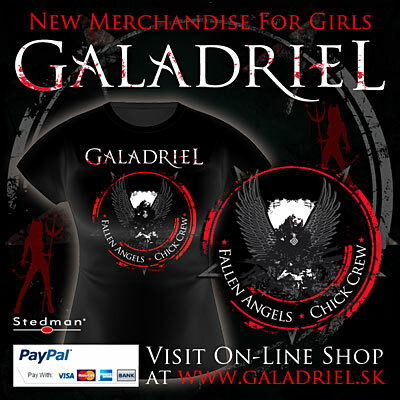 And finally we started to offer you new payment method for our CDs and merchandise. Now you can secure pay us by PAYPAL ! Check the Online Shop section !